Hey there! I'm back today for the final day of the December Papertrey Ink countdown. Everything you've seen peeks of will be available tomorrow! And of course I bring you one more sample of Swan'sational, one of my new design for this month. This set is perfect for baby cards. I used twin facing swans, placed them next to one another, and then nestle a sweet little baby just below the pair. 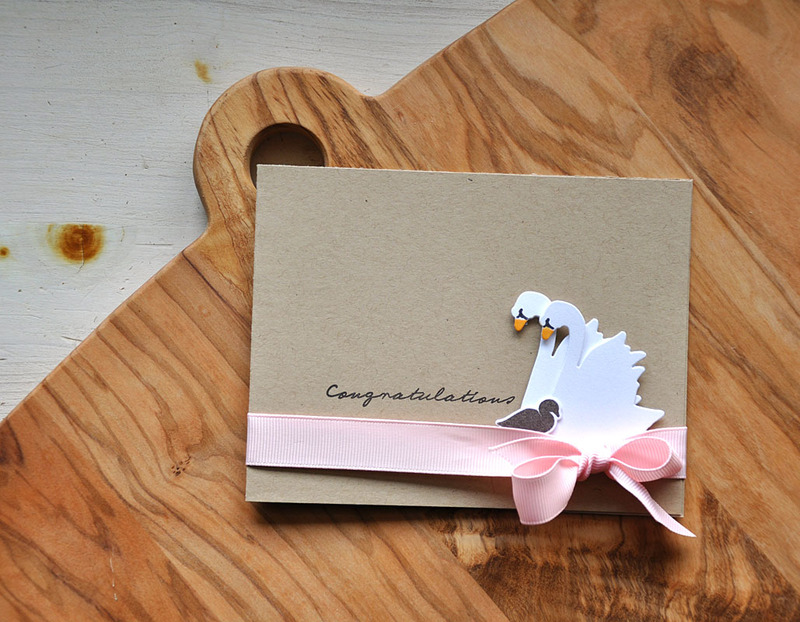 The parents were made using the swan die, and orange marker (for the beak) and the small black accent stamp. 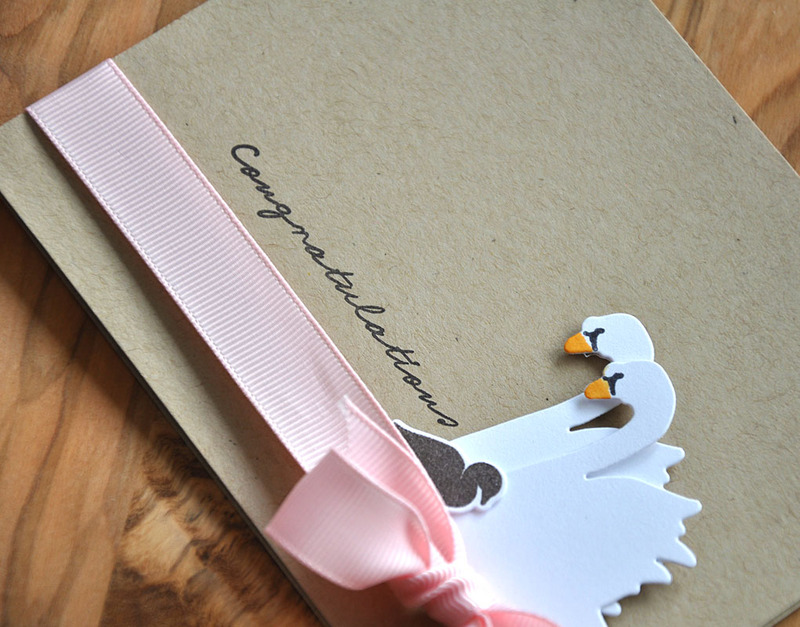 If you need a card to celebrate a new baby girl, use a pink ribbon. If it's for a newborn boy, use a blue ribbon. Well, that finishes up this months release for me. Just remember... all that you've seen today will be available for purchase through Papertrey Ink, beginning December 15th. Love pink and Kraft together so thus baby girl card speaks to me. It's adorable, Maile! I've been so enthralled with the images, that I've neglected to mention how much I like the font you chose for Swan'sational. You have a way with fonts, though.